— Tell us your favorite one and some reasons why it’s your favorite. — For a bonus entry to increase your chance of winning, tell us about one of your own favorite uses cases. That’s it! We’ll draw our three winners on Tuesday (3/30/10) sometime after 1:00 pm US Central time. As long as you’ve provided a valid email address along with your entry, we’ll contact you and get the case ordered as soon as you give us your shipping address. *** Please Note: Only US residents are eligible for this one. Sorry to have to say that, but Apple makes it such an enormous pain to try to any sort of gifting of items outside the US that it is just not viable for us right now. I have been enjoying this series. It has opened my eyes to a number of use cases. As a social game designer, I wasn't even thinking about using the iPad for board games or other real-life mutli-player games until I read Case 11 – board games (http://bit.ly/aWxp39). Now I can't stop thinking of them. You can also imagine using your iphone to store private game information and the ipad to have public game info. For example, a game of Texas Hold'em where your private cards displayed on your iphone and the community cards are available for all to see on the iPad. 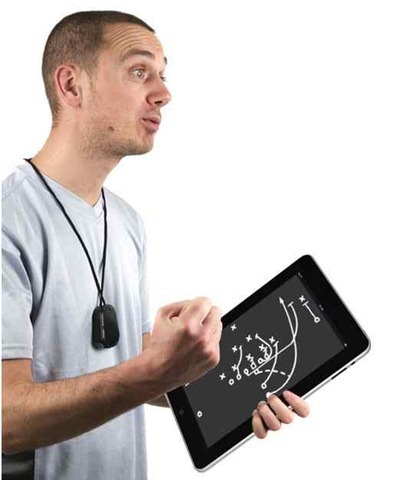 Use Case 12 – The Teammate (http://bit.ly/brNFAd) is the reason I pre-ordered the device. I'm often in a paper notebook designing software. Sometimes I'm working alone and sometimes I'm collaborating with others in the notebook. I do this from coffee shops, conference rooms, office spaces and my apartment. I create mindmaps during brainstorming phases and sketch our wireframes on paper before moving on to tools like Balsamiq on my laptop. 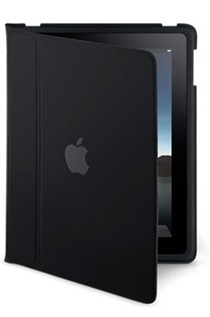 I'm looking for the iPad to replace my shelf of notebooks. That kind of freestyle note and designing has a little bit of Use Case 18 – Playbook (http://bit.ly/bVDHKq) in it. "instead of just taking notepad style notes, I want to mindmap, flip back and forth to the meeting agenda, take audio notes, wireframe and redline comment wireframe and art assets." Bonus Use Case – The Entrepreneur's toolkit. This combines a lot of your use cases including the two for sales (http://bit.ly/a1qr2p http://bit.ly/9VBbkr) and the use case above. The entrepreneur wears many hats. However, I'm most excited about using the iPad at casual meetings (usually lunch, coffee or beers) with investors and early stage startups to actually show them what I'm working on. Additionally, often other sites get discussed that are competitive or tangential to the startup and it would be great to pull up those sites in real-time during the discussion. I would love to play cards while camping or solitaire on my way home. I liked this post the best because it shows the wide array of games that can be produced. I would like to see board games with an iPhone component so that you can hide your cards or what have you. Even create games on your own with a board game kit app or something. One Idea I had would be to have a suite of apps that could help a book keeper/office person. The calendar apps are great. You could set up monthly payment reminders, and forecast cash flow. Iworks could be used to create spread sheets for tracking waste signs made with daily specials. I’m speaking as someone who does this for a set of cafes in San Francisco. I chose Countdown to iPad – Game Changer (Use Case 34). I really think the iPad is a tablet done right. There have been tablets created in the past that have failed because they were trying to be PC’s with a touch interface. I think the reason iPad will do so well is that it’s been built from the ground up (using amazing iPhone/iPod Touch multi-touch capabilities) to create a user experience that doesn’t require a keyboard! Bonus – My big use case is the ability to carry around books, magazines, games, work documents – basically your life – all without needing to carry keyboards, mice, etc. This all in one device is small enough to be carrier practically everywhere without the need to boot up or refresh from sleep mode. It’s immediately accessable with the swipe of a finger and fits perfectly in the day to day schedule and lifestyles of so many. I love Use Case #17. I do the shopping for my family of 7 and can't tell you how many times I've forgotten my list in the rush to get to the store or while at the store I can't remember if I need to buy more trash bags (we have about four boxes right now). The iPad would solve all of those problems and more for my grocery shopping. My vote goes for Use Case #42…Countdown to iPad – Franklin-Covey-Apple. I've been a BIG fan of Franklin Covey products for years and have even tried their add-on for MS Outlook. It was OK but feel that an application done right on the iPad could be so much faster, smooter and usable. A close second for me was Use Case #21: Medical Imaging. I am a clinician and getting ready to go back to school for further certification. Medical Imaging is a great idea but I'd like to see it taken even further…. Beyond medical imaging, I'd like to see an entire patient management app which encompasses scheduling, medical documentation with EMR (electronic medical records) capabilities, billing, patient education and follow-up. This could be a huge asset in private practice, as well as, in a hospital setting if the back-end database management could be worked out. Judging by the initial uptake of iPad sales, as these devices become more and more prevalent, they are sure to appear in the medical arena and I hope to see an app to fulfil all of these requirements. Winner. Yes I did – and just posted about it a few minutes ago.